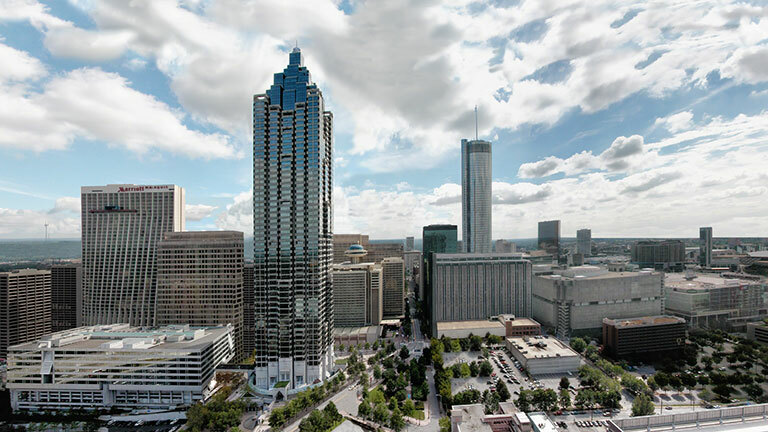 Rendering of the Coda Building, which preserves an historic Atlanta building within a 40-story skyscraper. The John Portman Dean’s Chair bears the name of one of Georgia Tech's most distinguished graduates, the renowned architect and developer John C. Portman Jr., ARCH 1950, Honorary Ph.D. 2012. Portman passed away on December 29, 2017, at the age of 93. The John Portman Dean's Chair reinforces and strengthens the College's ability to attract and retain the very best academic leaders in the field. Steven P. French, dean of the Georgia Tech College of Design, is the current John Portman Chair. When reflecting upon the endowed dean’s chair being named in his honor, Portman remarked, "Georgia Tech is a jewel in Atlanta's crown, and the College of Architecture (later renamed the College of Design) played a pivotal role in shaping my life." "I am honored to partner with the institution that means so much to me, while it aims to ensure generations of aspiring architects have a world-class educational foundation on which to build their dreams, contribute to the field, and improve the lives of people everywhere." Portman earned a Bachelor of Science in Architecture from the Georgia Institute of Technology in 1950. After a three-year apprenticeship with an Atlanta firm, he opened his own firm in 1953 and began making history. Throughout his career, his ties to Georgia Tech have remained strong. The Portman Prize and Portman Visiting Critic Program foster design excellence and student creativity in the School of Architecture at Georgia Tech. The Portman Prize is awarded through competition by a distinguished jury chaired by the Portman Visiting Critic, who also participates over the semester as a design studio critic and public lecturer. The competition jury awards ranked prizes, each carrying monetary awards, and the top prize winner is also offered a summer internship in the office of John Portman & Associates. Portman pioneered the role of architect as developer to allow greater freedom in the implementation of his design concepts. 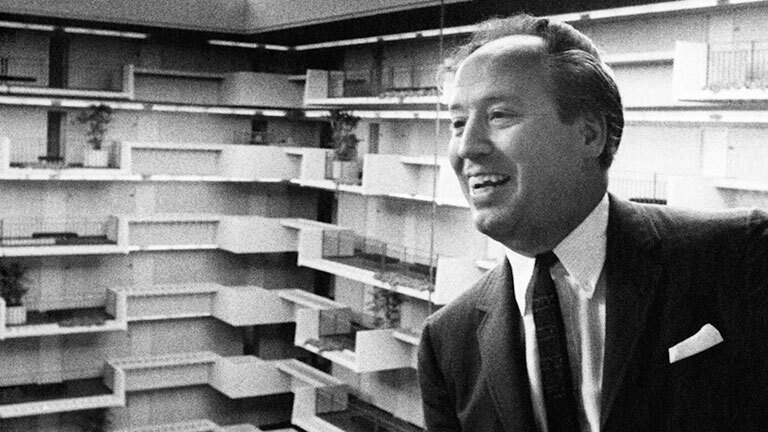 His understanding of people and their response to space translated into enhanced environments and award-winning architecture that brought about positive socio-economic impact on the cities in which his projects were built — a list that includes Atlanta, New York, San Francisco, Beijing, Shanghai, Brussels, and many others. Portman’s impact was perhaps greatest on his hometown of Atlanta, where the multi-block Peachtree Center complex attests to his commitment to the downtown business district and includes many of his landmark projects. Peachtree Center is a multi-block mixed-use project in Atlanta, Georgia, that was master planned and designed by John Portman & Associates. 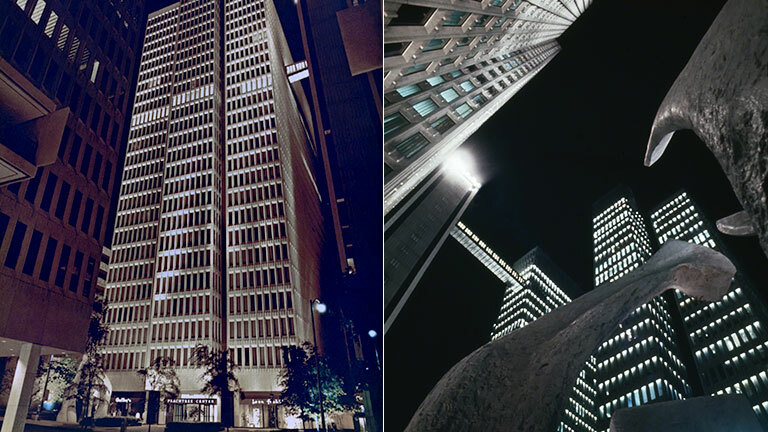 The Evolution of Peachtree Center - Five Decades of Design video about Peachtree Center first aired publicly as part of the High Museum Atlanta's exhibit, John Portman: Art & Architecture. The exhibit subsequently went on tour worldwide. 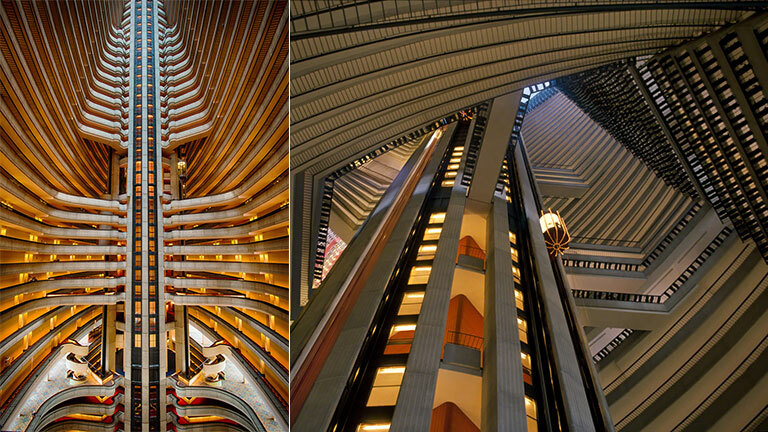 The first of four convention hotels Portman designed, developed and built as part of Peachtree Center in downtown Atlanta, the Hyatt Regency Atlanta is the first modern atrium hotel. 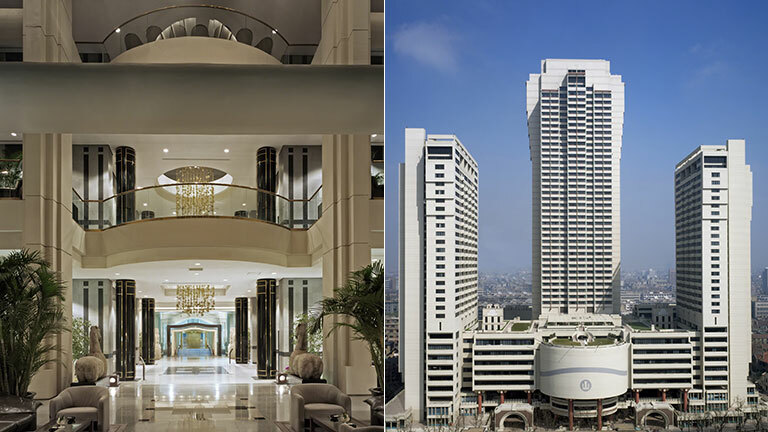 Its innovative design revolutionized the hospitality industry and launched the Hyatt brand. 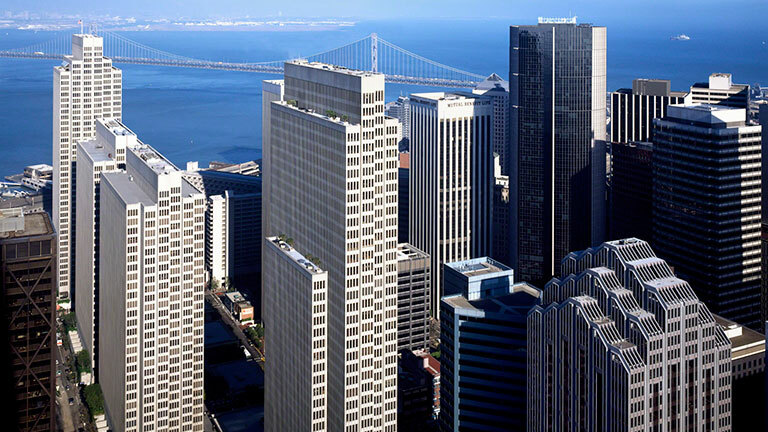 Embarcadero Center in San Francisco transformed an eight-block blighted district into some of the world’s most valuable real estate, earning an Award of Excellence from the Urban Land Institute in 1985. 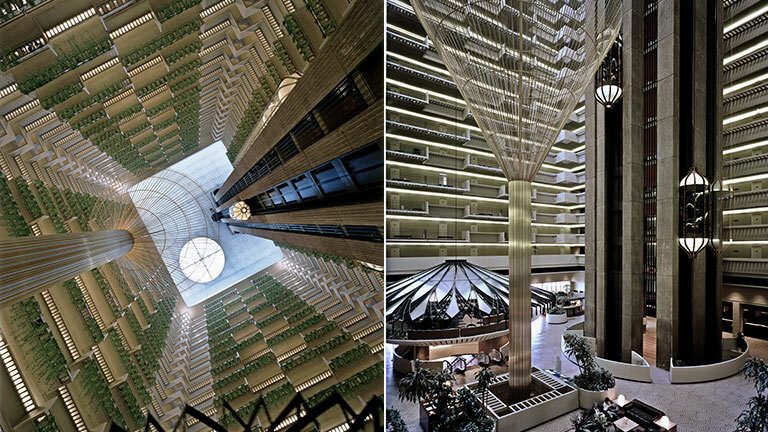 The Atlanta Marriott Marquis not only raised the atrium concept to new heights, but the dramatic 50-story atrium is also the most sculptural of all Portman-designed atriums. The innovative space sparks the imagination, serving as a setting for “the future” in films such as the Hunger Games series. Shanghai Center, the first mixed-use complex in modern day China, was a catalyst for growth in Shanghai and served as a prototype for development throughout China. 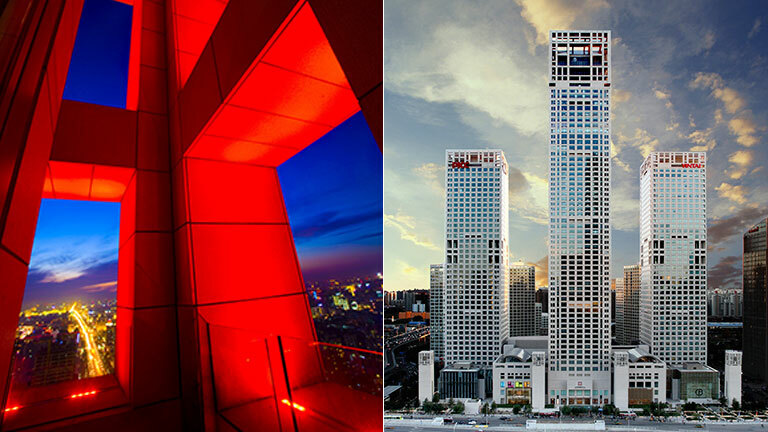 Beijing Yintai Centre is an example of Portman’s approach to contextual design. The motif used throughout evokes a traditional Chinese lantern, not as a replica or imitation, but as a sensitive and modern interpretation. 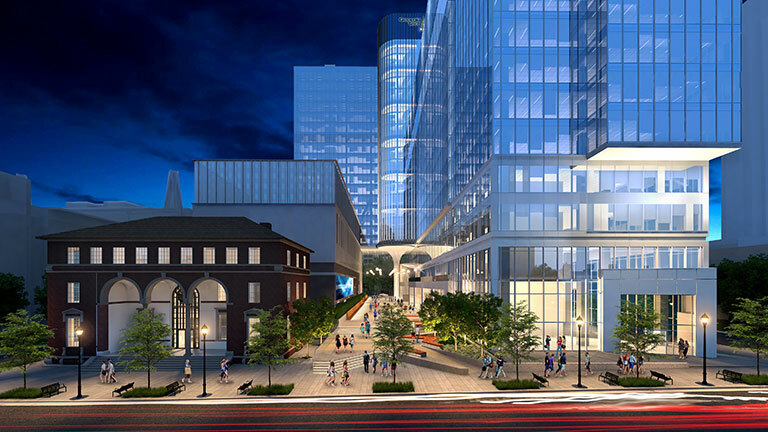 With the Georgia Institute of Technology as its anchor tenant, this signature mixed-use project combines office, high-performance computing and retail. In addition to bringing Portman’s people-centric design to Midtown Atlanta, it includes the adaptive reuse of the historic Crum & Foster building. Portman grew up in Atlanta, mere blocks from the Georgia Tech campus, and attended Tech High School. When it came time to take a mechanical engineering drafting class, he convinced high school administrators to find someone to teach him architectural drafting instead. Consequently, he began his lifelong love affair with architecture. During World War II, Portman was awarded a fleet appointment to attend the U.S. Naval Academy. When the war ended prior to his attendance, he opted to return to Atlanta to pursue architecture. In 1956, he partnered with one of his former Georgia Tech professors, H. Griffith Edwards, to form Edwards & Portman Architects. 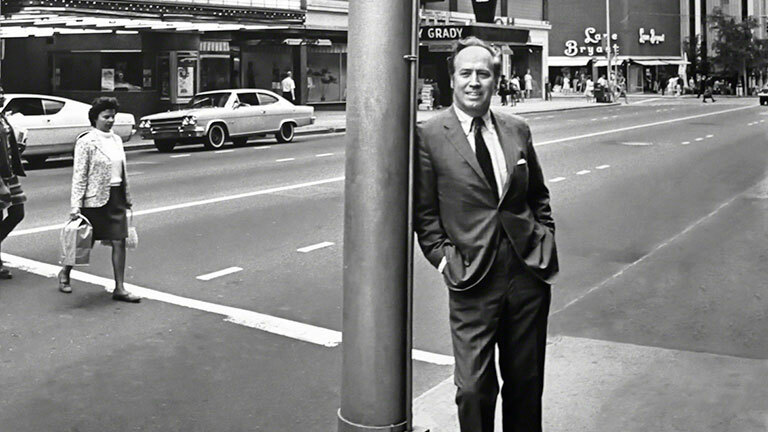 When Edwards retired in 1968, the firm became John Portman & Associates.